What Is The Best Attic Insulation Minneapolis? Hot areas leak heat to cooler ones, and cold air seeps through into warm areas and cools them down. Heat moves along gradients naturally. Heat transfer can happen through conduction, convection or radiation. The best attic insulation is one that chosen based on the local climate and temperature needs. For extreme temperature changes, higher R-values are recommended. So, the preferred insulation should have high R-values. To provide complete coverage of every single surface to a sufficient depth and to fill the gaps and create air seals the best attic insulation Minneapolis can be determined based on your attic space and current insulation levels. One type of insulation is spray foam. Different types of spray foam attic insulation are used, the most common classification being open cell and closed cell materials. Open cell foam costs less and insulates reasonably well, with R value rating of 3.9 per inch. Closed foam insulation has around R-6.9 per inch. At around 2 inches of thickness closed cell foam acts as an excellent vapor barrier. Careful installation is necessary to spray the foam evenly all over the attic surfaces. It acts as perfect air-seal and creating a barrier that cuts of all air movement through gaps and crevices. This keeps the heat or cold inside the home as it is meant to be rather than being conducted away through conduction, convection or radiation. One of the best attic insulation Minneapolis solutions is to have a home energy audit done to see how energy efficient your home is and steps to make your home even more energy efficient through an insulation upgrade and air sealing. It is recommended to have an insulation professional to do the project to ensure that the insulation is installed properly. Insulation professionals like Snap Construction and Affordable Insulation have the machines and equipment to efficiently install insulation. An expert will know how to install insulation properly and get the stated R-values. Recommendations for attic insulation levels is to reach R-38 to R-49. But some locations will require the higher figure and others the lesser one. A good reference to follow is the government mandated charts which rate the R value for best attic insulation by region. The R-factor is a measure of the overall insulation performance, as well as the thermal characteristic. It measures the resistance of the heat flux. Having the right level of attic insulation Minneapolis in your house is one of the most important considerations in keeping your energy costs low. Attic insulation protects from the cold in the winter, and also keeps the cool in during the hot summer months. What considerations factor in towards making your attic a well-insulated place? 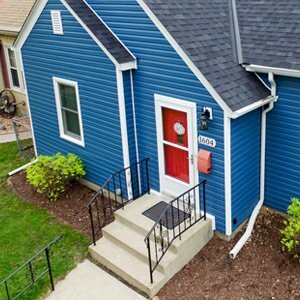 Snap Construction and Affordable Insulation is a local insulation contractor in Bloomington, MN and certified through Centerpoint Energy, Xcel Energy, and the Building Performance Institute. Our trained insulation professionals are available to inspect your attic space and provide recommendations for upgrades if necessary. 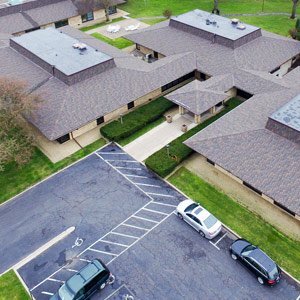 Know here about Best Rubber Roofing Contractors in Minneapolis.